1.) Gravity waves and space-time-consciousness domains, 2.) Cell structure and STC domains, and 3.) TRUE unit analysis and FLT related to triplet structures in 3S-1t. In order to understand what the detection of gravity waves means, I think it is necessary to put it into the perspective of Einstein’s understanding of inertial mass and gravity in four-dimensional space-time. Einstein’s findings are counter-intuitive, and still poorly understood, even by most scientists. 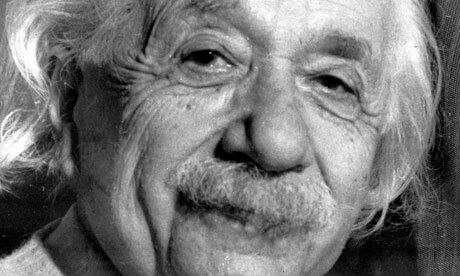 In spite of Einstein’s insights, validated many times, in many different ways, most people still think of space and time as separate, unchanging physical realities. In our everyday lives, it appears to work perfectly well to think of space as a uniform background within which things happen, and time as a record or history of events. But these ideas are mental constructs limited by the restrictions of our physical senses. The first clues that our common-sense view of space and time was incomplete, and probably even incorrect, began with the mathematical treatment of the propagation of electromagnetic wave energy, including visible light, with Maxwell’s wave equations around the middle of the 19th century, followed by empirical evidence that space was not what we thought in the results of the Michelson-Morley experiment in 1887. Prior to the Michelson-Morley experiment, most scientists thought that, just as sound waves travel by alternating compression and expansion of the gaseous medium of air, light waves had to have a medium, a universal ‘ether’, through which they could travel. Air, the medium of sound waves was detectible as a physical substance made up of the molecules of certain gases. But the ether, thought to be a uniform stationary medium, had never been detected. The Michelson-Morley experiment was designed to detect the Earth’s movement through the ether (originally spelled aether, distinguishing it from the organic compound), using the interferometer. The Michelson-Morley interferometer was set up to reveal the presence of ether by detecting the difference in the speed of light in perpendicular directions due to the motion of the Earth through the ether. Using the simple addition of velocity vectors, it was easy to calculate the expected difference in the speed of light waves travelling through the ether in the direction of the Earth’s motion around the Sun, compared with its speed when moving perpendicular to that motion, and in opposition to it. The apparatus was set up to send beams of light along two paths, perpendicular to each other, to mirrors arranged to reflect the beams back to the source, where they would interfere with each other, setting up interference patterns on a screen. The pattern was observed before and after rotating the interferometer. Interference patterns created by the intersection of the returning waves were expected to change as their relative velocities changed due to the rotation of the apparatus. The expected pattern shift was not observed. Based on these results, physicists and astronomers thought first that the ether was dragged along with large masses like the Earth, but eventually they concluded that there was no ether. That means that light somehow propagates through empty space without a medium. The results of the Michelson-Morley experiment did not come as a surprise to at least one physicist who had been studying Maxwell’s wave equations. Albert Einstein was that physicist. . Maxwell’s wave equations, published in 1865, 22 years before the Michelson-Morley experiment, describing the movement of electromagnetic waves indicate that the speed of light has to be constant relative to its source and point of reception and/or observation regardless of relative motion. Einstein’s writings indicate that the result of the Michelson-Morley experiment was not a factor in the thought experiment central to his 1905 paper introducing the special theory of relativity. But Einstein’s conclusion was hard for the mainstream physicists of the day to accept. He concluded that the only way the speed of light could be the same for all observers was for the measurement of space and time to be different for objects and observers in relative motion. What does this have to do with gravity waves? According to general relativity, the collision of a pair of massive objects approaching the size and density of black holes, would produce gravity waves large enough to be detected all across the universe. Such waves would travel at the speed of light and could be detected by interferometers. Einstein predicted the existence of such gravity waves in 1916, and in the 1970’s, Russell Hulse, an astrophysicist and Joseph Taylor, a physicist, discovered evidence consistent with Einstein’s prediction, that suggested that gravity waves were being emitted by a binary star system as the two stars were spiraling toward collision, and in September 2015, gravity waves produced by the collision of two black holes were actually detected by twin interferometers operated by the Laser Interferometer Observatory (LIGO). If we accept the conclusion that the negative results of Michelson-Morley experiment prove there is no ether, then gravity waves are being propagated in the same manner as electromagnetic radiation, and can be considered to be part of the EM spectrum. This means that they travel across the universe at the speed of light. The main difference is that while the wave length of most radiation is smaller than the diameter of the source, the wave length of gravity waves detected by the LIGO interferometers are larger than the effective diameter of the source, and since colliding stars and black holes are very large, the waves produced are very long. The LIGO interferometers were designed to detect these fast moving long waves. The LIGO interferometers are much larger than the interferometers used in the Michelson-Morley experiment. The perpendicular arms of the 1887 interferometer were 11 meters in length, while the arms of the LIGO interferometers are 4 kilometers long. In addition, the LIGO involves two interferometer systems located far enough apart to detect long wave length distortions. Here is how the LIGO interferometers work: One very sensitive interferometer system, carefully isolated from local vibrations and movement is located in Louisiana and another one of the same size is located in Washington State, over 1800 miles away. A gravity wave, expands and compresses the measurable structure of everything, including the interferometers as it passes through. The LIGO is designed to detect and record the minute expansions and contractions and record their magnitude and of the time between them (wave length). Since they are travelling at or very near the speed of light, it is simple arithmetic to calculate the wave length (the distance between compression peaks). The first gravity wave detected from a cosmic collision was recorded by LIGO in September, 2015. Even for the collision of two black holes 29 and 36 times the mass of the Sun, 1.3 billion light years away, the magnitude of the wave detected by LIGO was tiny, about one-one thousandth of the diameter of a proton, (in the range of 3 to 4 TRUE units) and the wave length was in the 10 million kilometer range. Consciousness researchers like Stuart Hammeroff and Roger Penrose, have hypothesized that tiny structures in the brain called centrioles, made up of in nine sets of three microtubules, are related to the functioning of consciousness in the human body. Microtubules are around 7 nanometers in diameter, a size structure that might resonate with the magnitude of gravity waves. That's all I have time for now. Stay tuned for more on the three subjects listed above.